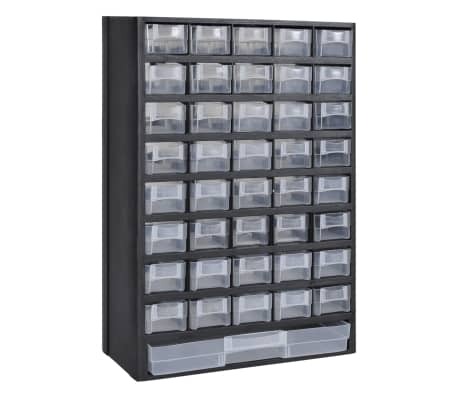 This 41-Drawer Plastic tool box provides a great way to organize your work area with 40 small drawers and a large one. 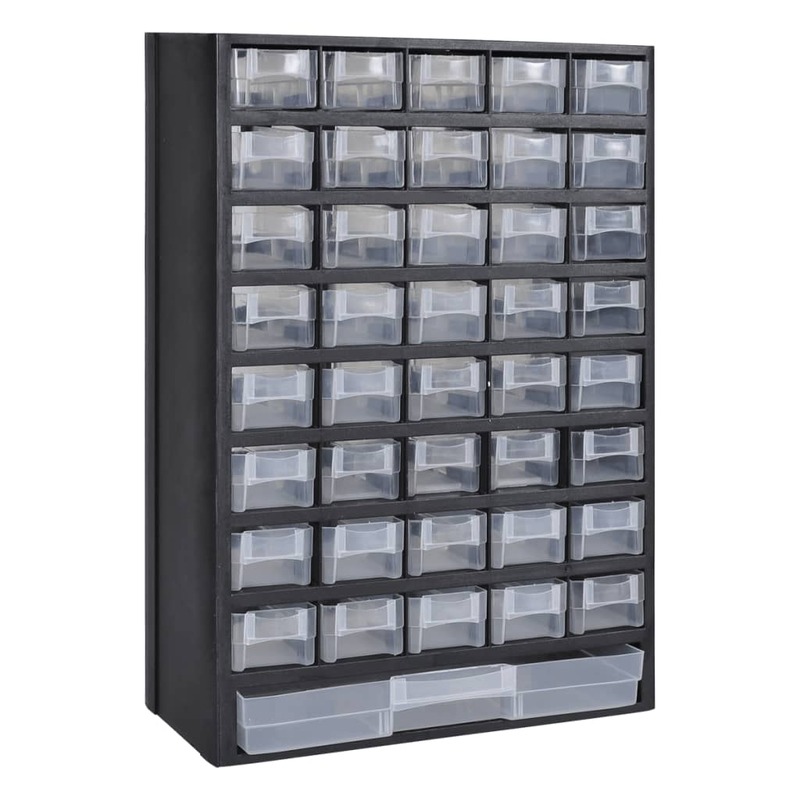 It is perfect for keeping all kinds of small things, such as small-sized machine components, accessories, or even your DIY works. 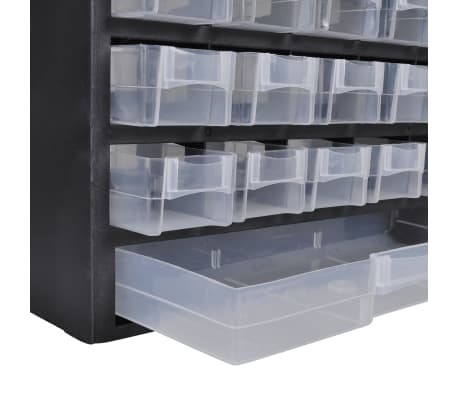 You could choose either the large drawer or small one according to the size of the things you want to put in. 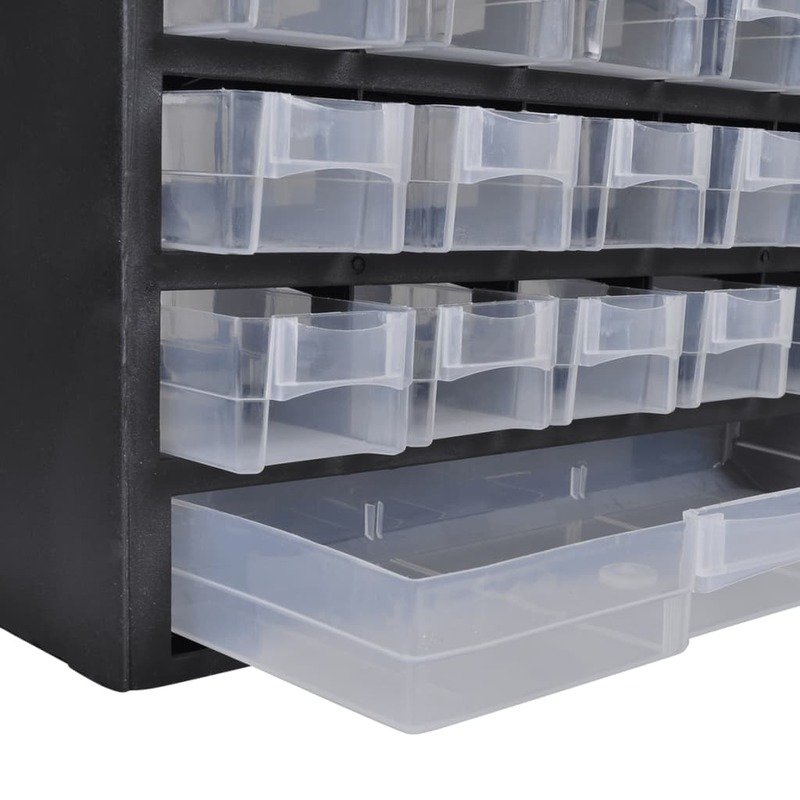 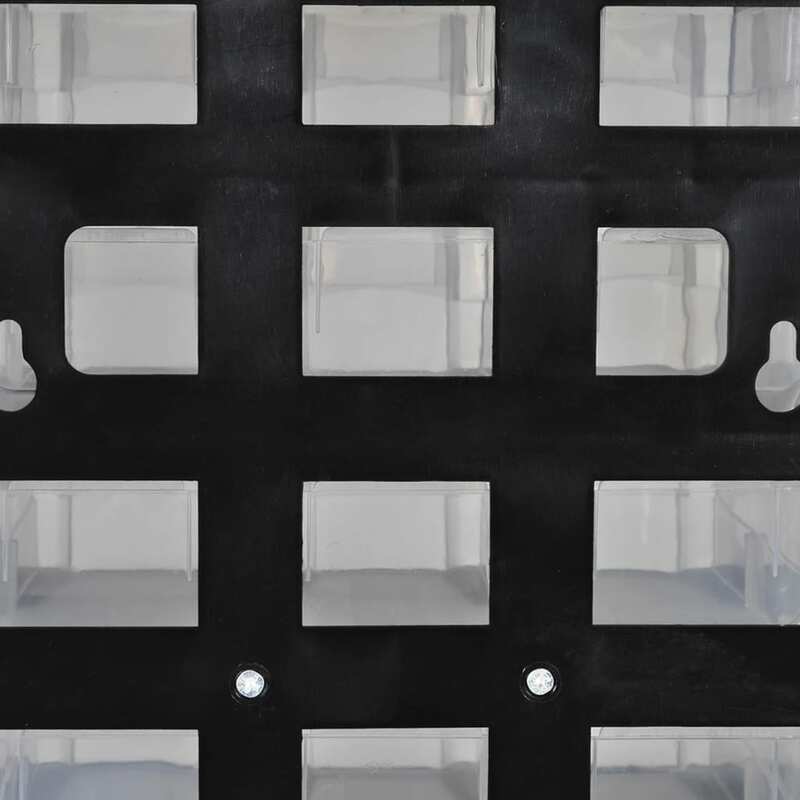 Durable transparent plastic ensures visibility of the items being stored in the drawer. 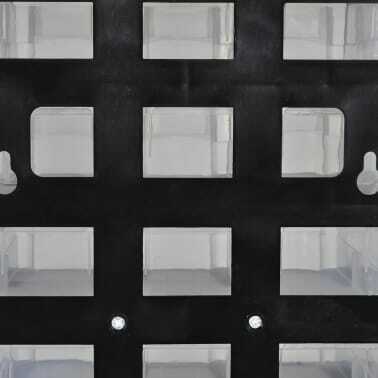 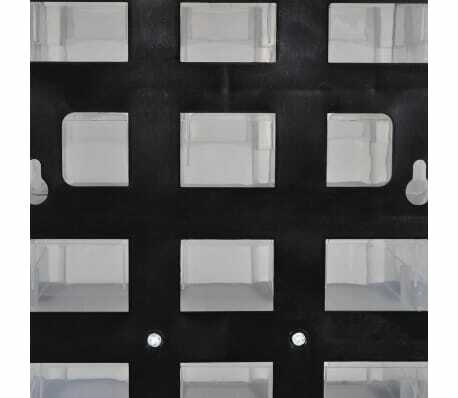 There’re 2 small holes on the back of the box for you to hitch it to wall or other surface.